Our Online Manual Handling Course (Understanding) will provide staff with instruction on the correct procedures for lifting, pulling, pushing. Once completed and passed the learner can print off their certificate immediately. Each year around 33% of injuries that are reported to the HSE are related to Manual Handling. The incorrect lifting, pushing, pulling techniques can lead to the most serious injuries. It is now a legal responsibility that all staff reduce as far as possible the need to move loads without machinery thus reducing the risks assocciated with maual handling. Additionally good techniques will also reduce related risks. Who is this Manual Handling Online Course for? This course is for anyone who is undertaking a manual handling task in the workplace. The aim of this Online Manual Handling Training Course is to help prevent the injuries that are caused in the workplace. 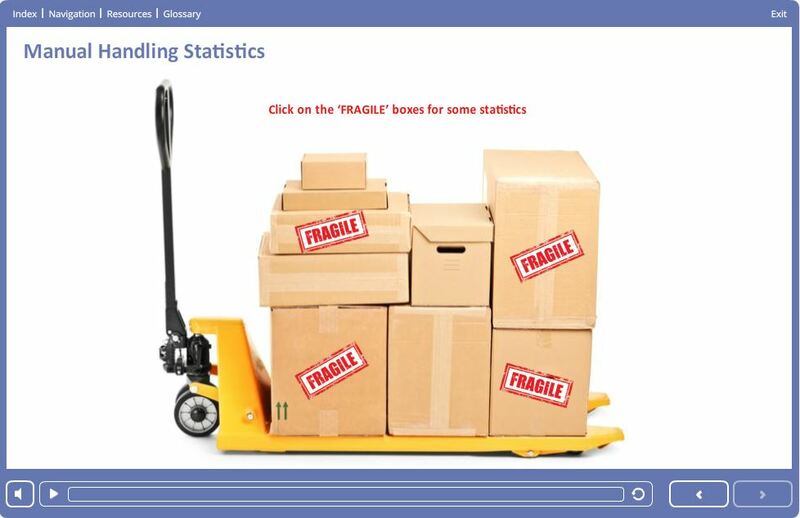 The average time required to complete the learning of our online manual handling training course is approximately 1 hour, however the course is designed to go at the pace of the learner and can be completed in more time if needed. 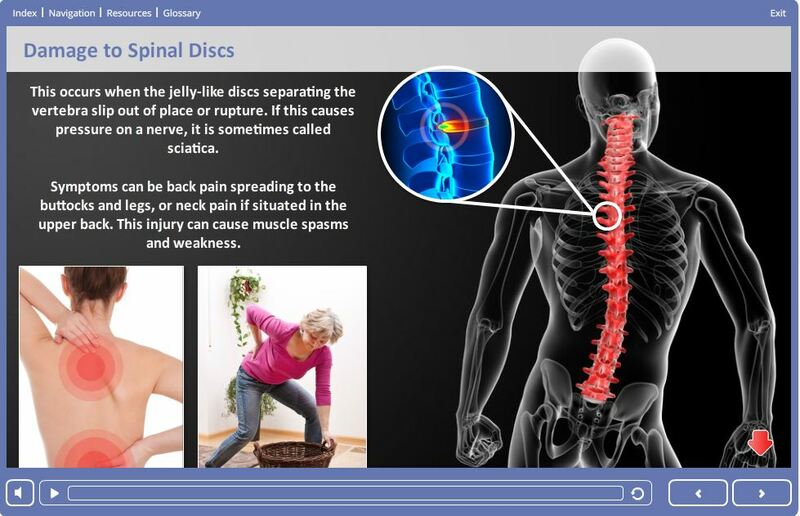 The manual handling online course assessment consists of 30 multiple choice questions. In order to be successful, candidates must achieve a 75% pass mark to obtain the certificate. On successful completion of the manual handling course assessment, the candidate will be able to print/save their Online Manual Handling Course certificate. In addition to this, an email is sent to the candidate containing a link to the certificate.